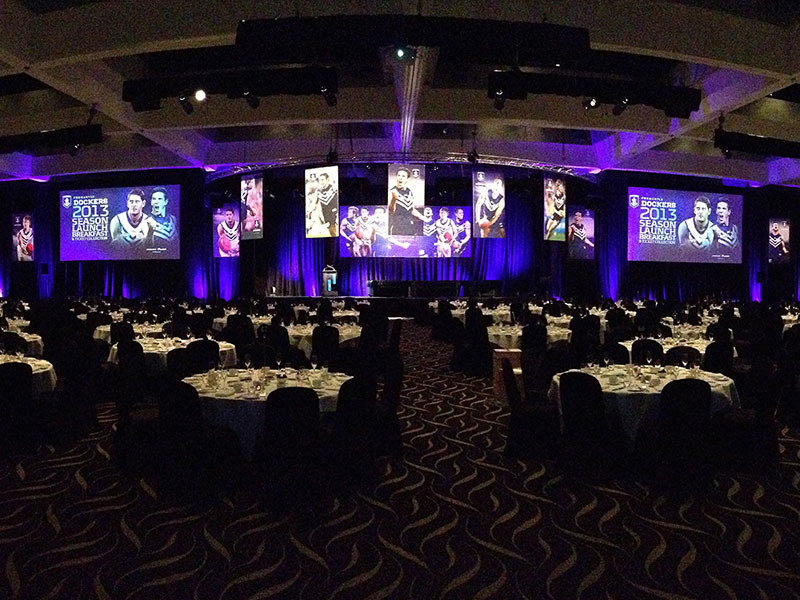 Bring fresh, creative ideas to a wide array of large-scale events each football season for the Fremantle Dockers. 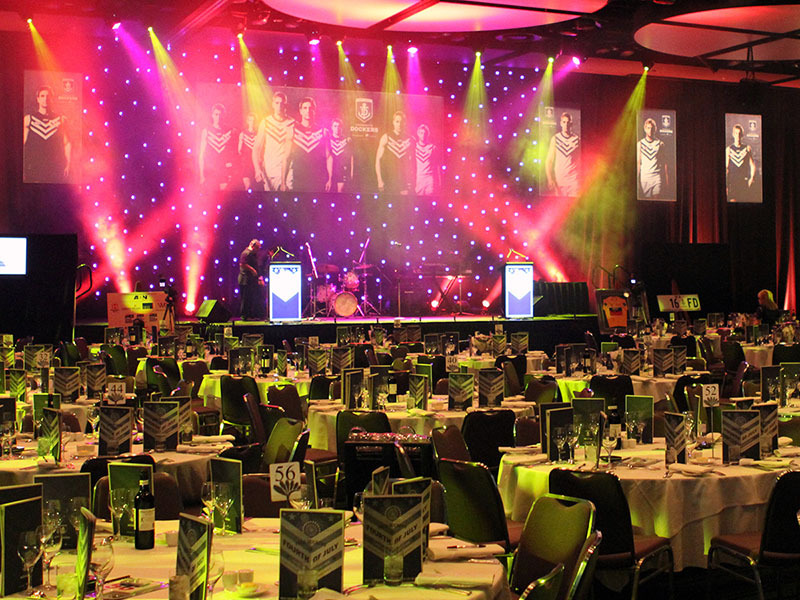 Combine Lux’s unique turnkey events management services, production expertise and extensive warehouse of decor, lighting and video equipment, and custom multimedia to delivery truly unique events year after year. 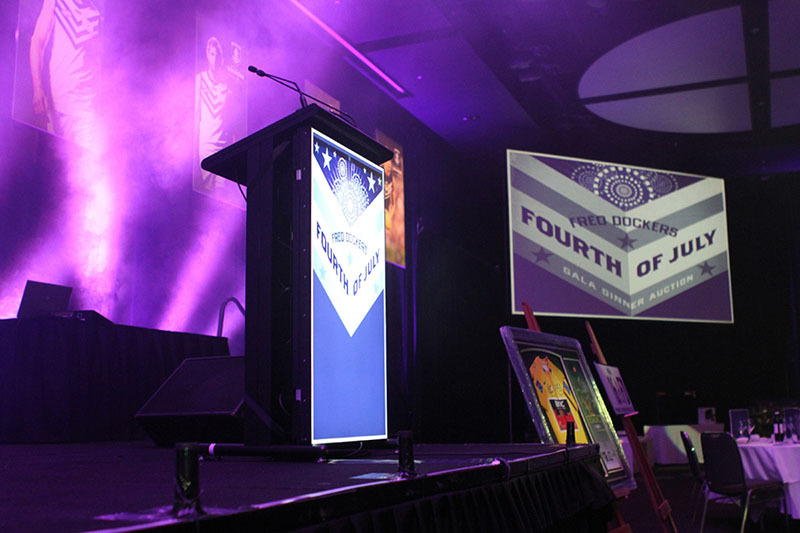 Exciting events which included the Season Launch, Club Medal, Gala Auction, VIP breakfasts and lunches, Christmas parties and community promotional activities were all delivered successfully to enhance the Docker’s reputation with it’s fans and the community.